Aneeqah Stellenboom is a South African fashion designer, stylist and makeup artist, born in Cape Town. In early 2009, she started working in the creative industry, gaining experience through freelancing as a fashion stylist and makeup artist on several editorials, campaigns and portfolio books, thus establishing a network of notable photographers, art directors, stylists and fellow fashion designers alike. With influences and inspiration drawn from fashion design icons like Victoria Beckham, Elie Saab, Oscar De La Renta and Zuhair Murad, Her transition from role of makeup artist, to a then part time fashion designer began in 2011. Initially just as a concept, originally started with a close friend, the label House of Phi was born. Knowing very little to nothing about anything related to the process of fashion designing, with only having the skill of drawing, creative style and eye for detail. Her sole purpose and determination was to learn everything possible relating to the chosen industry. Self-taught and through experience, following through on a dream and vision, that would later become a reality, she branched off on her own in 2012, launching her brand that is today known as Phi Casa. After having several successful ready-to-wear collections launched in Cape Town and Sandton. Her main focus has shifted to concentrating on building her styling portfolio, within the design space, in order to create a premium lifestyle brand, aimed at women wanting the luxury of the elegant classics and exclusivity. 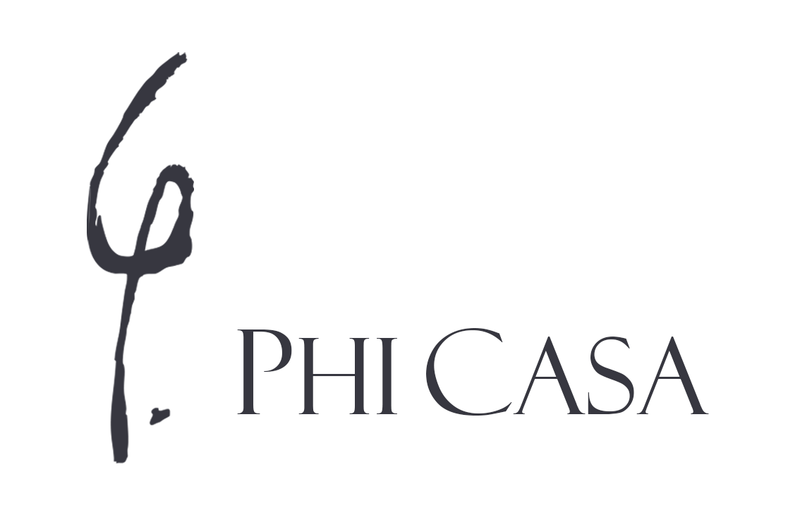 Phi Casa aims to build a lifestyle brand which offers its consumers a fully tailored styling experience; from apparel to beauty. By creating high quality merchandise for its consumers, the primary focus is to deliver exclusive, high quality garments to its clientele and to cement its position in the high end fashion industry. To create a world where extraordinary beauty, grace and art exists together in immaculate form, while finding the perfect balance in relation to one another, by providing women the opportunity to look at various ways to innovate, excite and recreate their lifestyle. Phi Casa wishes to achieve becoming the platform women feel they can come to when looking to enhance their natural beauty through pure femininity; igniting free spirit and charm within; creating style, elegance and poise. To draw inspiration from all cultures and creations, opening endless possibilities of exploration of the inner and outer personification of beauty without pretense. Phi Casa strives to be an inspiration to women who consider themselves unique individuals and a beacon of hope to those who are finding their individuality. We want to offer women the opportunity to endeavor to free-fall like the air that we breathe.